BLACK+DECKER™ announces POWERCOMMAND+™, its first-ever lineup of 60V MAX* equipment. 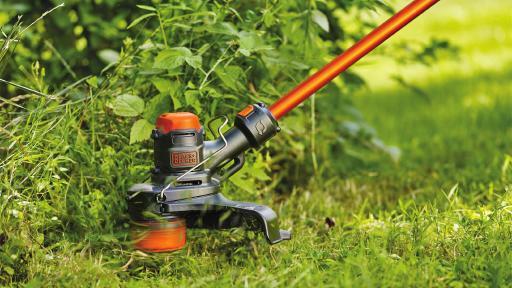 This new line of 60V MAX* outdoor power equipment includes a String Trimmer/Edger, Hedge Trimmer, Blower, and Mower. Each tool incorporates one of four innovative POWERCOMMAND™ features – EASYFEED ™, POWERCUT™, POWERBOOST, POWERSWAP™ – to help solve common user frustrations. 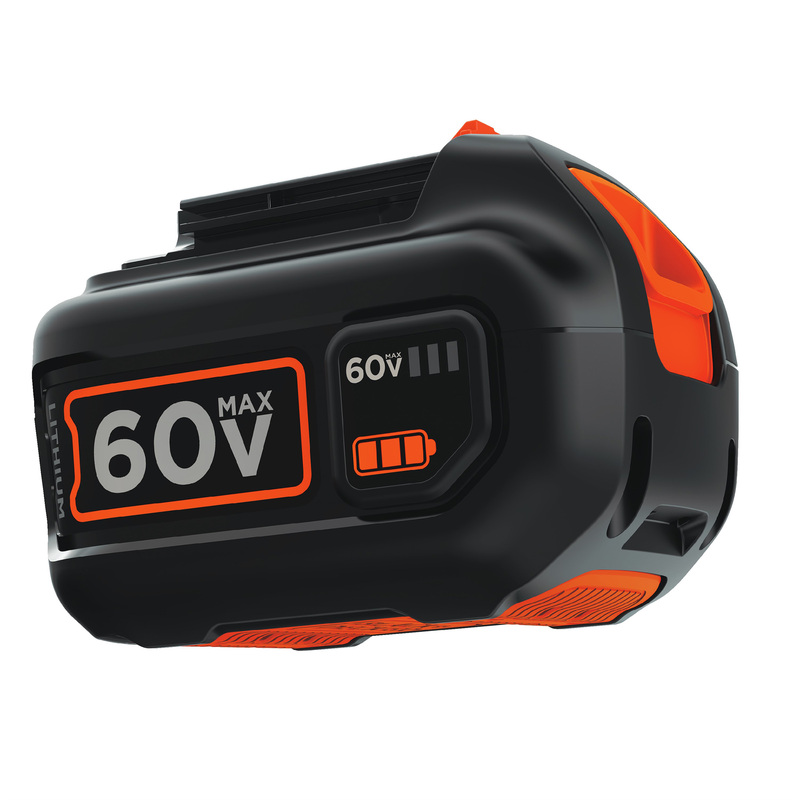 POWERCOMMAND+™ products utilize BLACK+DECKER’s first-ever 60V MAX* Battery platform. 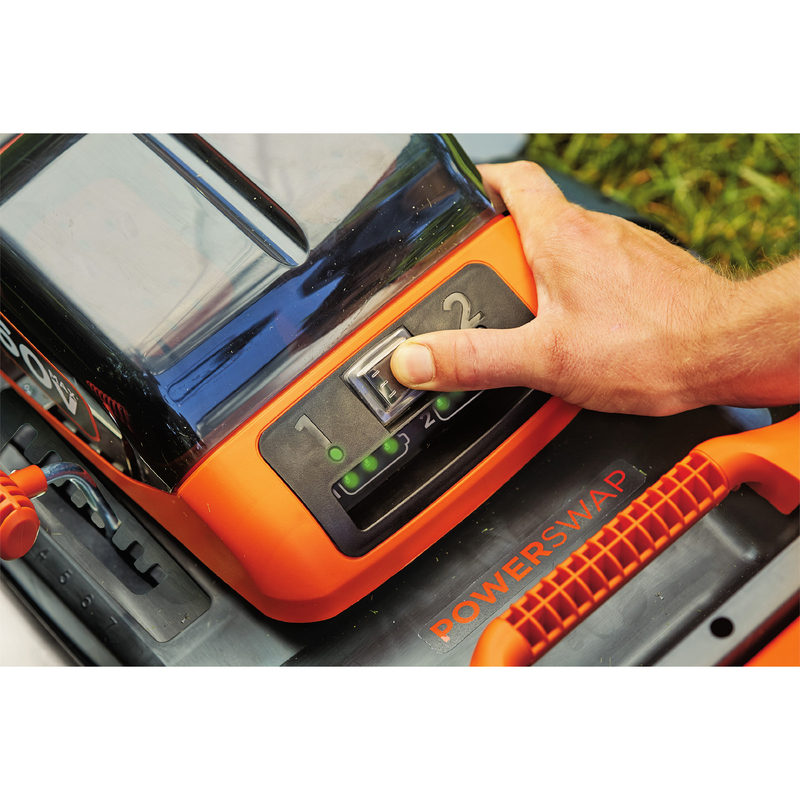 A 1.5Ah battery comes standard with the String Trimmer, Hedge Trimmer, and Blower while two 2.5Ah batteries come standard with the Mower. 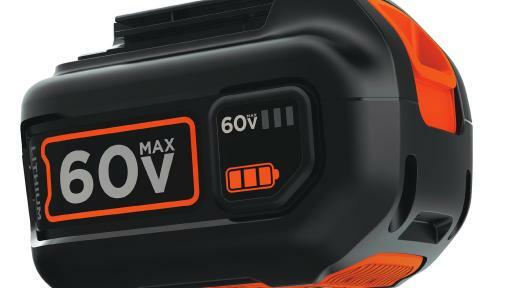 These batteries will also be available separately for MSRP $99.99 (1.5Ah) and $129.99 (2.5Ah) respectively and can be swapped across tools in BLACK+DECKER’s new 60V MAX* lineup. Each battery features a state of charge indicator directly on the battery to eliminate charge level guesswork for the user. With this new high-voltage battery platform, BLACK+DECKER gives homeowners the power necessary to tackle tough jobs. 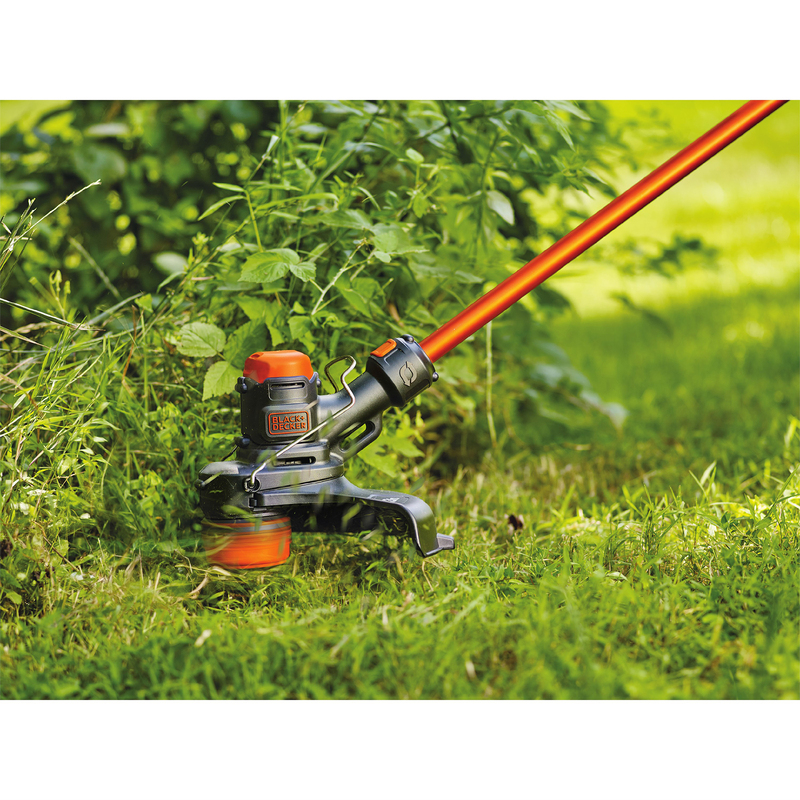 The new 60V MAX* EASYFEED™ String Trimmer/Edger (MSRP $169.99) allows homeowners to easily and reliably feed the trimmer line with the simple push of the EASYFEED™ button, putting control back into the user’s hands without the hassle of bumping. 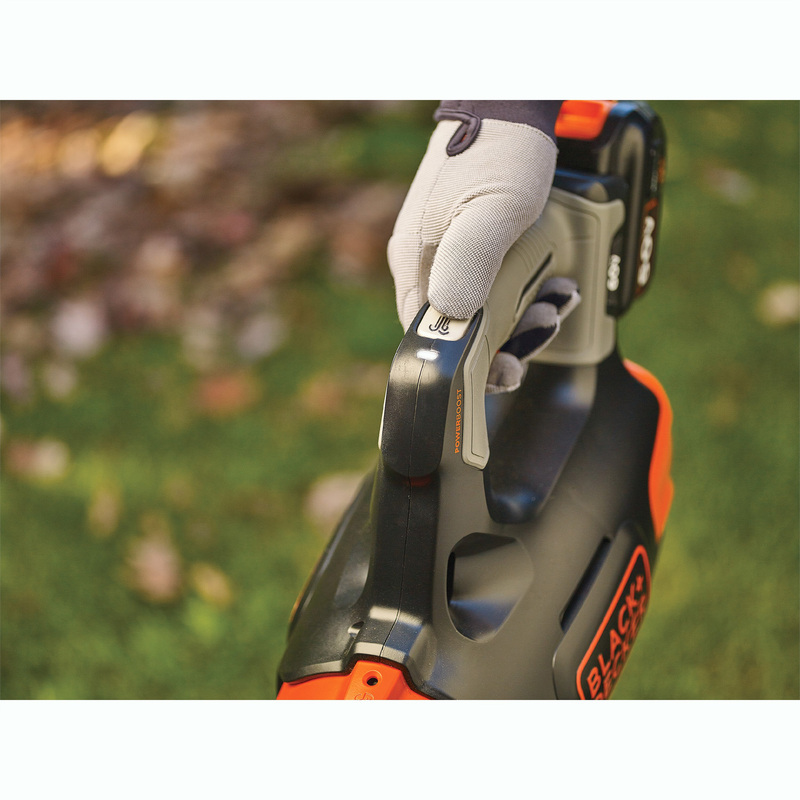 The tool easily converts from trimmer to edger, eliminating the need to switch tools in the middle of a job. The 60V MAX* POWERCUT™ Hedge Trimmer (MSRP $169.99) features both the POWERCUT™ and the new SAWBLADE™ feature. POWERCUT™ allows the user to continue to cut through a jam with the push of a button. The SAWBLADE™ functionality lets homeowners cut branches up to 1.5 inches thick with confidence. 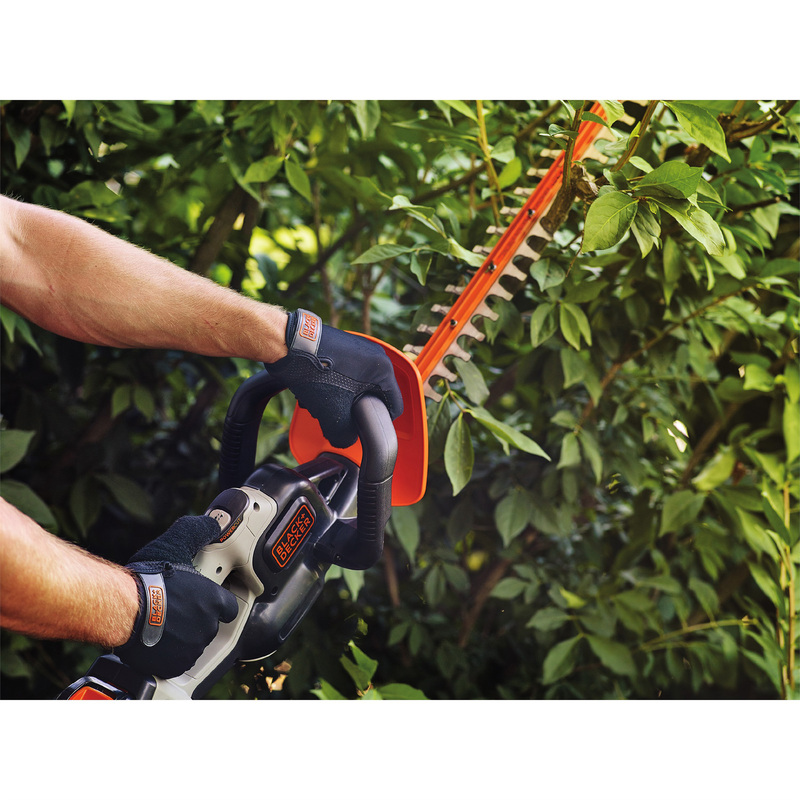 Additionally, its 24 inch hardened steel dual-action blade cuts branches with up to 40% less vibration**. The 60V MAX* POWERBOOST Blower ($169.99) gives users the option to increase power with the push of a button. The axial fan delivers up to 400CFM blowing speed and incorporates a metal scraper to remove stubborn or stuck on debris. 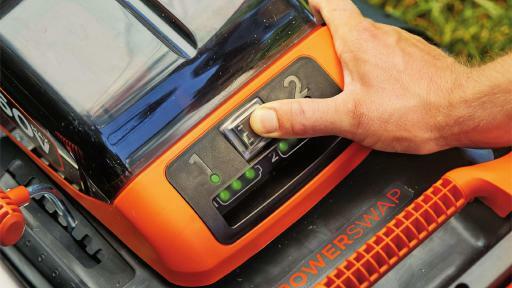 Finally, the 60V MAX* POWERSWAP™ Mower ($399.99) houses two onboard, removable 2.5Ah batteries and allows users to instantly change from one battery to the next with the push of a button. The on deck battery charge level indicator easily lets users see how much charge is left in each battery directly on the unit. AUTOSENSE™ Technology senses the thickness of the grass and automatically adjusts the power level accordingly to optimize runtime. Lastly, a single lever with seven height adjustment settings lets the user easily adjust the blade height from 1.5 to 4 inches. 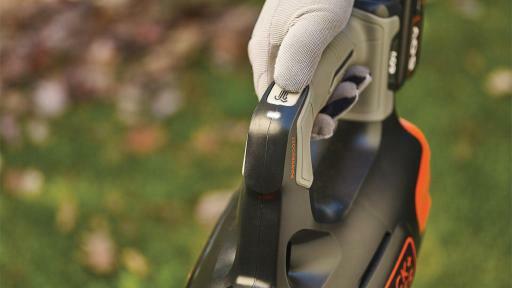 BLACK+DECKER lawn and garden cordless equipment delivers the power you need without gas emissions while in use. 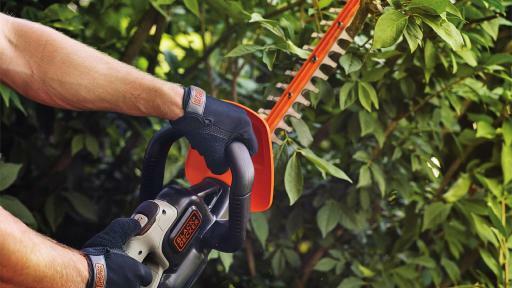 With this new 60V MAX* lineup of ECOSMART™ products, BLACK+DECKER continues its commitment to a sustainable future. POWERCOMMAND+™ products will be available in spring 2017 at retailers nationwide and come with a three year limited warranty and 30 day money-back guarantee.